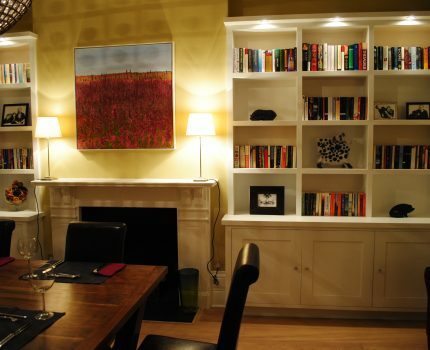 Built in alcove cupboards, shelves and modern solutions. Alcove units generally sit either side of the chimney breast and more often than not, space is wasted. 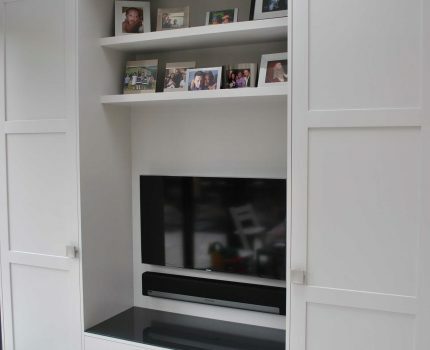 Our custom made alcove units fill the entire space giving you 100% of , usable space incorporating cupboards, shelving and a place for your television. 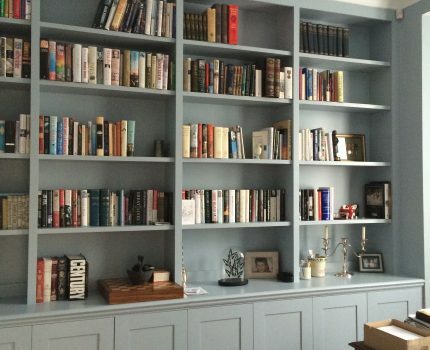 Just like our alcove units, Eclectic Interiors design your study to maximise its full potential. We incorporate fitted bookcases and shelving units, desks and lighting, to create a peaceful environment for you to work. Our home office design service is available throughout the whole of London.